Or there are days when I don't want to dress up and feel like just throwing on work appropriate stylish tops and then use a shawl or layer with a cardigan to keep me comfortable and warm. When I get off work and it is sunny outside I can just take off the cardigan. I used to stick to basic and plain colored clothing and it is just lately that I experimented on different colors and prints. 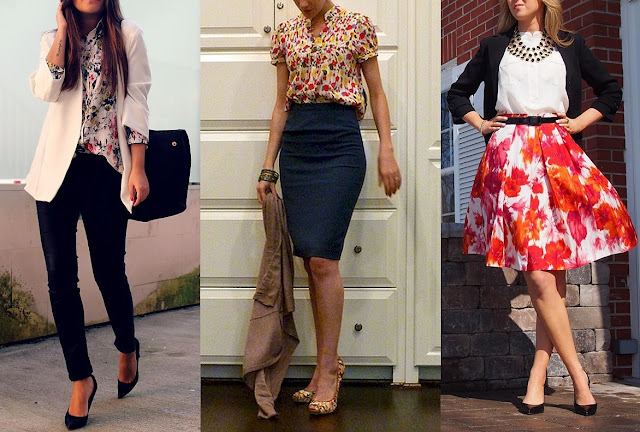 A style that never goes out of style and will never be are florals. It's preppy and girly plus it also gives people the belief that you gave a good thought of what your outfit will be especially that you have to coordinate your shoes and other accessories with it. 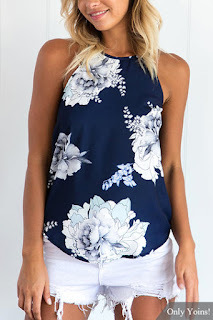 Moreover floral prints can be dressed up or down. Pair a floral casual dress with a pair of strappy heels and you could already look like you are ready for a lovely dinner out. 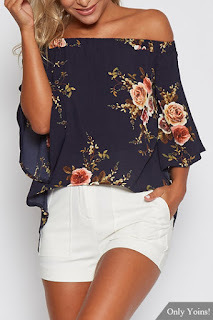 While pairing a nice floral top with jeans and white sneakers and you're ready to go for brunch. Agree? Find all these awesome pieces at Yoins.